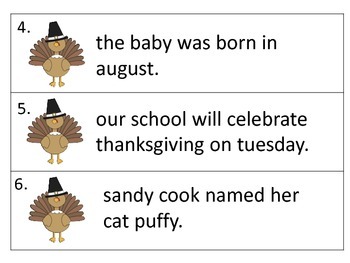 This center featuers 15 sentence cards with cute Thanksgiving graphics. 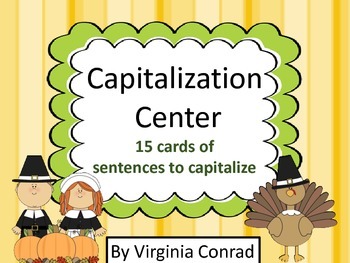 Students will write each sentence using correct capitalization. 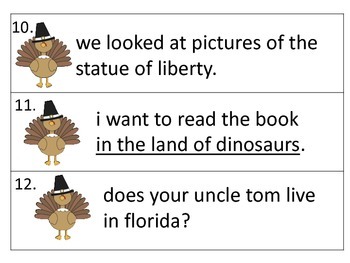 Basic capitalization rules for elementry grades are the focus. Watch for my other back to basics Thanksgiving products.